Great question, Ana! It can be tough to find time to run a business while juggling being a mom at the same time, but it is definitely doable! In fact, I truly believe that it is not only possible to do it, but to do it well. However, I’ve had to learn some hard lessons along the way. My first book Say Goodbye to Survival Mode was all about how I failed at balancing motherhood and a business and the lessons I learned from that. 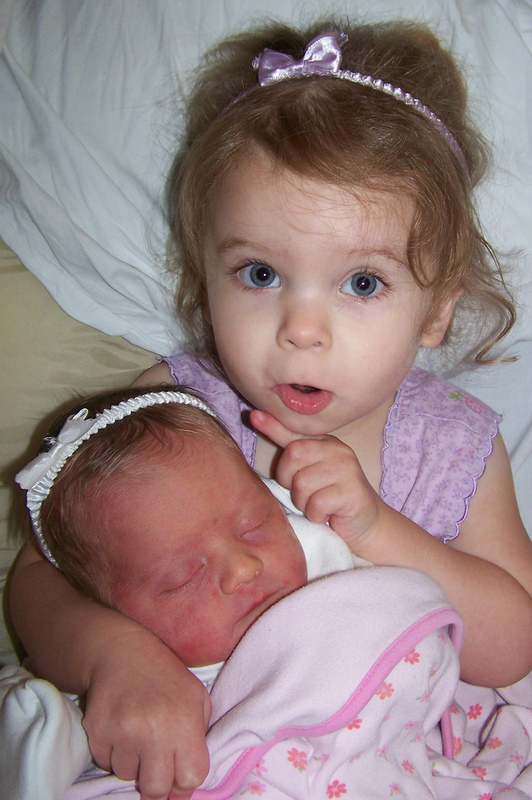 When my kids were ages 5, 2, and newborn, I was also running 3 blogs (crazy, I know!!) plus doing a lot of other things. I had started way too many things, taken on way too many responsibilities, committed to too many things, and then found myself completely exhausted and overwhelmed. To try to do everything I felt I had to do, I pulled all-nighters, pushed myself too hard, sacrificed sleep, and burnt myself out. I almost lost my marriage, health, and my business in the process of trying to do way too much. I finally got to a place where I simply couldn’t do it anymore. I hit rock bottom, and I was in a really bad place. In desperation, I poured out my heart to my husband, telling him how overwhelmed I was and expecting he would give me a pep talk and encourage me. I didn’t want to hear it, but it was exactly what I needed to hear. And I realized deep down in my heart that he was right. I was the one who was saying yes to way too many things. I was the one who was feeling obligated to take on too many responsibilities and commitments. I was the one who didn’t have good boundaries in place and was stretching myself too thin. As I pondered Jesse’s words, the truth hit me: I was the problem. However, this was also good news, because it meant that I could be the solution! With this in mind, I went on a life-changing journey to really discover how to climb out of the crazy pit I had dug for myself. It’s been a process — and it hasn’t been all smooth sailing. I often take two steps forward and then one step backward. Sometimes, as in the case of much of last year, I felt like I took more steps backward than I did forward. I’m a work in progress and I’m constantly making mistakes and learning as I go along. After much failure and struggle, I’ve come to the realization that I don’t have to do everything. In fact, I can’t do everything. 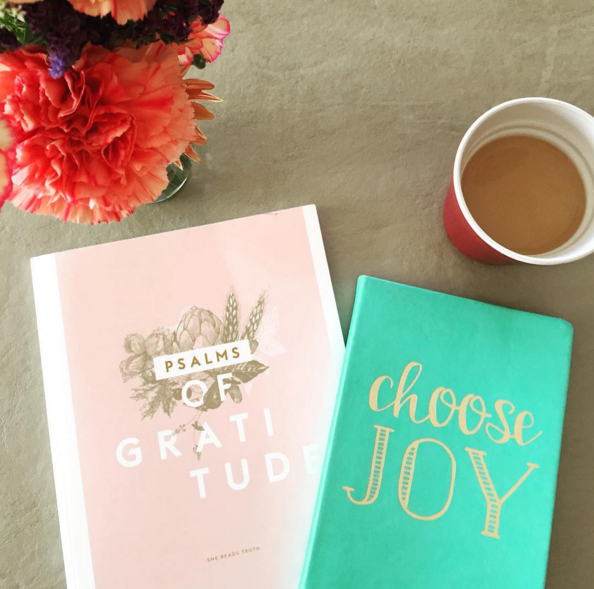 I am called to write and blog and run a business at this season of life. In order to carve out the time for this to be a priority, I have to say “no” to other things. Jesse does half of the homeschooling, we have a part-time Mother’s Helper, my team takes care of almost all of the administrative details of running the business, my kids help with the laundry and cleaning. Both motherhood and writing fulfill me, and I’m finally at a place where I know that there is nothing wrong with that. It’s a beautiful thing! I encourage you to embrace who God has made you to be, and which direction you feel He is taking you in — and then guiltlessly delegate or delete things from your life in order to be able to accomplish that. I’ve had to stop believing the myth of perfect balance, and instead try to reach a healthy balance. For years, I chased after the illusive “perfect balance” until I finally realized that there is no such thing as a perfect balance. Instead, I’ve started aiming for a healthy balance. To me, this means that I’m investing time in each area of priority in my life over the course of a week, month, and year. That when I look at my year as a whole, I see that I’ve really poured a lot of time and effort into those few areas that are the greatest priorities. I’ve had to accept that every day is going to be and look different in my life right now. Some days, I’ll be focused more on one priority and some days, I’ll be focused more on different priorities. For example, when I launched my newest book Money-Making Mom a couple months ago, it was all hands on deck for a few weeks to make it through the book launch. My husband took over a lot of the responsibilities at home and with the kids while I dedicated the majority of my time to book launch responsibilities. 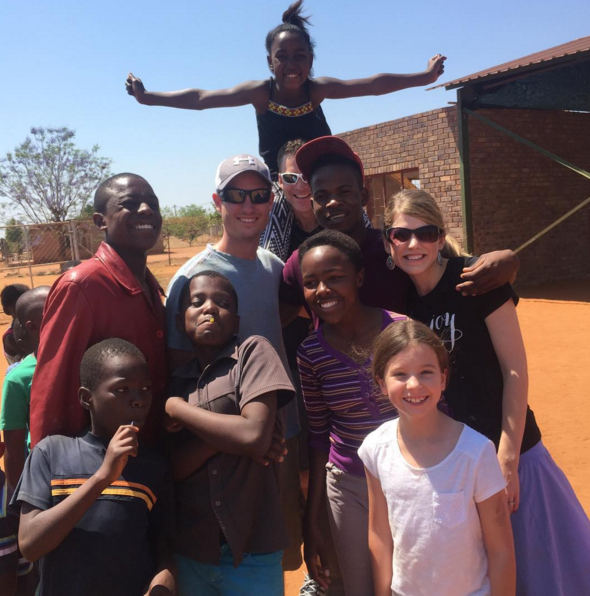 On the flip side, though, when we went to South Africa as a family, I was offline almost the entire trip and just focusing on spending time with my family and enjoying the experience as a family. This is what a healthy balance is. Sometimes, I have sprint seasons where for a few days — or even weeks — I am working more hours to complete a big project. And some days and weeks, I’m offline most or all of the day to focus on my family. Give yourself grace to not feel guilt in either mode. It’s okay to focus more on priority some days and more on another priority on another day. Look at your week as a whole, your month as a whole, and your year as a whole when determining how balanced your life is. It’s so important to learn what you want to say yes to most often. I can’t pack my schedule so full that my family gets the leftovers, because I want my family to get the best parts of me. Over time, I have recognized that my saying yes often stems from comparison. 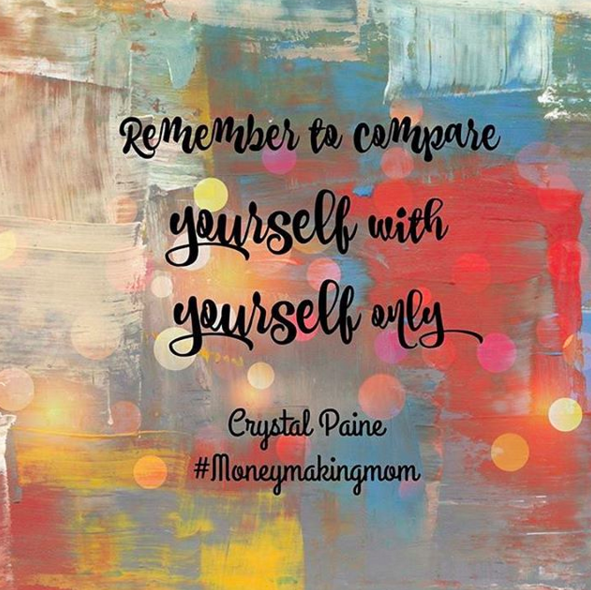 I try to compare myself to other bloggers, mothers, and business owners. I want to be all things at all times. The truth, though, is that I can only do what I can do. Nothing is perfect, but I am doing the best that I can possibly do. I’ve learned to be okay with that. I am me, not someone else, and the only person I should compare myself to is me! I have such a driving personality, and I struggle to prioritize myself. I always want to go, go, go and help as many people as possible. I always have more ideas than I have time. I’m learning more and more how important it is to give myself grace, to take it slowly, to rest, and to pour into myself so that I have the energy to pour into others. I have to make sure I rest and refresh myself. There is so much refreshment that comes from stepping away from the noise on a regular basis. That’s why my word for 2016 is Rest! Talk to your spouse about sharing some of the cooking, errands, or housework. Use paper plates for meals. Become best friends with your crockpot and stick with very simple meals. Turn on a DVD and put your kids in booster seats with a snack while you get in a little work. Buy simple convenience foods a few times per week to save yourself time. Lower your standards on what a clean & organized house looks like. Talk to your spouse about going out and working at a coffee shop 1-2 nights per week while Dad spends time with the kids & puts them to bed. What advice & suggestions would the rest of you have for Ana? Let us know in the comments. P.S. If you’re looking for even more practical tips on this subject, be sure to check out this post I wrote a couple years ago on how to balance motherhood & blogging. Thanks so much for sharing! When my babies were little, I did this a lot, too! This is a great post, thanks. It is hard to find a balance between working and doing things at home. I’m having a hard time doing that too. I find it works best when I have a certain time at night that I get off the computer, even if I still have things to do on it. I need to just get off and spend time with my family, watch a show, something, just to relax. Such wise words! Thanks for sharing! I think that there is no real way to always have a healthy balance. You will have periods where it will be healthy and others where it isn’t. The best thing to do is recognize when you are off track and get back there. If there was anything I would change about the way I handled things when my kids were really young is this….I would have left the house by myself and let my husband stay home with the kids. That was hard for me to do, because I’m a people person, and at the end of a long day with kids who can barely talk, I didn’t want to walk out the door the moment an intelligent grown person walked in. It was a true struggle for me. I wish I had gone out by myself sometimes though. Such good words here! Thank you for sharing! 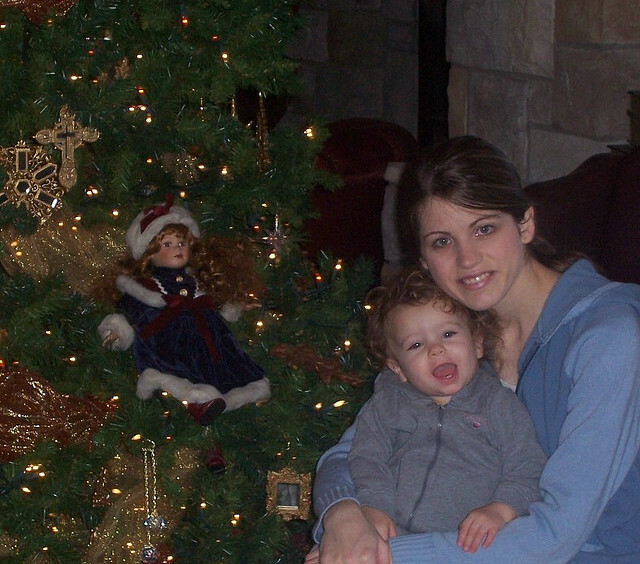 Ok, so that picture of Kathrynne with baby Kaitlynn is just about the cutest thing ever! I love Kathrynne’s expression. Brought a smile to my face 🙂 Thanks for sharing. My goodness, your kids are just too cute! I only have two kids (so far), so I know I have it easy, but the number one thing I’ve learned is that before I can “work”, I have to fill up my kids’ lovetanks. The younger they are, the more true that seems to be. They’ll happily play and entertain themselves IF I’ve sufficiently fed their need for mommy’s attention first. Man, this came at the perfect time! I’m a new WAHM and constantly fight anxiety about how long I can ACTUALLY do this. You’re right – gotta realize that this is what I’m called to do in this season! Just need to trust that God prunes my life for me in His time! When I’m overwhelmed I tell myself this – I’m getting paid and staying home with my kids. So many people would love to be in my crazy shoes. Crystal, thank you so very much for being open, vulnerable and humble. I really appreciate this post. I recently purchased Make over your mornings and it’s been great! I love the part of prioritizing self care and remembering there is grace. Again, thank you so much for sharing your struggles and victories. I accidentally came across your site and it’s been such a blessing! Great post! I have been working at home for over 11 years and have gone through all of what you talked about. And, it came down to the simple truth of raising a family is a team effort! One of us cannot do it well without the other. I’m a work at home mom and a few things that have helped me… 1.) Communicate what you’re trying to do with your family. I am a blogger and my whole family knows it and supports it, 2.) A healthy balance for us means I take time off from blogging and spend it with my kids and husband purposefully, 3.) Rise early – I get up at 4 AM oftentimes so I can get work done – yes, there are times when I’m tired, but discipline means doing the thing you need to do even when you don’t feel like doing it. Now I’m earning a regular income from my blog and my family counts on me and it to help with bills. It can be done — but it’s a family effort in our home. And I’m just thankful for a family who supports one another. Thanks for your openness and honesty Crystal! It’s refreshing to hear reality from your point of view! Yes, rest time is essential! Once my kids stopped napping, I transitioned them into having rest time (when they were little, this meant time in their cribs with some toys and board books). Now that they are elem. age, rest time means sitting on their bed for an hour reading books. I check out TONS of library books and each child gets a crate filled with books to read. (Sometimes I offer a little “reward” to the kids who stay in their room the whole time — usually 3 chocolate chips). We homeschool, and this break in the afternoon saves my sanity! I can get some computer work done, read a book, or catch up on anything I feel behind on. Great thoughts. I’ve struggled a lot with balancing being a work at home mom, but I have learned a few things along the way. I think the hardest lesson for me has been that not only can I do it all, but I can only do about 50% of what I think I can do (or what I imagine someone else in a similar situation could accomplish). The problem is that there are so many wonderful things to be done that I love and am itching to do. I have to be patient with myself and know that just because I COULD do something well doesn’t mean I SHOULD do it. As an infant, my daughter was very fussy most of the time, rarely napped more than a 20 min catnap until she was much older, and was often up 10 or more times a night until we finally got her sleep trained at 10 months old. I expected the first few weeks of adjusting to life with a baby to be crazy, but my expectations were way too high for what I should accomplish when she was no longer a newborn. I would even get frustrated and think that I must be doing something wrong in parenting her, because many other babies her age slept long stretches at night, took multiple long naps, and were perfectly happy for many of their waking hours. But the truth is we all have different capacities, different businesses, and different children. What works well for someone else doesn’t necessarily work for everyone, and that’s okay. Just wanted to share this in case someone else is feeling the same way I did. Laura, thank you for this comment; it really blessed me. I’m a first time mum and my 16 week old son has been very fussy from the start and only naps 20 mins. I work from home and thought it would be a breeze when the little guy came along, but I’m learning I need to adjust my expectations and go with the flow more. Each day is new and different, some will be more productive than others, and that’s OK right now. I really love all your suggestions. I am just in the season where I am not making money with any of my working, yet, so some of these suggestions don’t work for me. It is a struggle for me, sometimes, to keep on working and sacrificing the time without monetary reward. I know that it will pay off, yet, but this is a first time thing for me. Thank you so much for this! I loved how you said, “I can only do what I can do.” I needed to hear that today. I’ve been working through this same question myself lately. Right now, I’ve learned to work efficiently during nap time and after bedtime, but I know the routines I’ve established with my 21 month old will change once our newest little one is born in March. 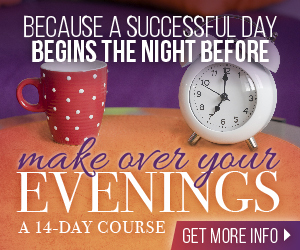 I’ve learned to continually readjust from day to day, our schedules and plans. I am so thankful for the opportunities God has given me to work at home, to support our growing family, but I am continually reminding myself that I need to place the needs of my family first and be sure to give my children the attention they need. 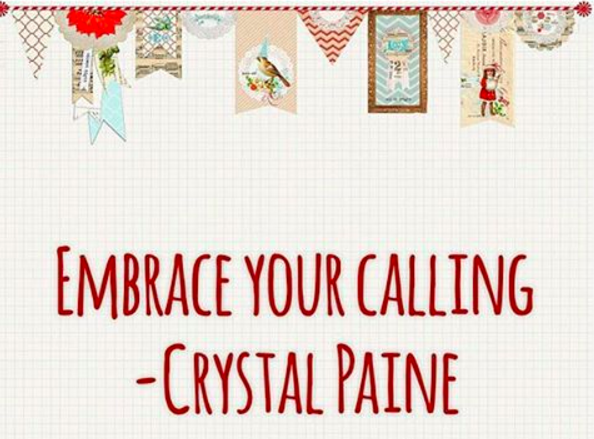 Thank you, Crystal, for continually encouraging us to stay focused on the gift God has given us in our families! Reading your emails and posts has really inspired me. I have been running a business at a loss for the past few years and killing myself in the process because I didn’t want to let my customers down or admit failure. Meanwhile, I have been battling an autoimmune disease that has gotten progressively worse and not giving my husband and kids the love and attention they deserve because at the end of the day, due to my condition, I have little left to give. I have been thinking on pulling back and refocusing my efforts and reading your words is exactly how I feel. Thanks so much for sharing! You are so welcome! I’m glad it was an encouragement to you! Thank you for your honesty and realistic point s of view. The tips you offered are simple but as sahm you guilt yourself into a corner and end up losing out in doing things to help your own goals. Thank you for talking to my heart and giving me a little motivation back. Thank you for sharing this. It really is a struggle sometimes of trying to balance work and family and most times it doesn’t every feel like what your doing is right or successful, but I’ve learned to keep doing. This year, I’m learning to say “no” more than yes in this season of my life. Your recommendations are very much what I’ve concluded in the past 11 years of writing and publishing. It’s very hard since I’m a kid from the South where moms generally offer 3 feasts per day and do ALL the care of kids and home. However, my hubby is super-supportive and I’ve even seen a wonderful inspiration in our kids because they see mom & dad going after their dreams AND keeping a healthy home life–not with 3 feasts a day, mind you! Great post. I have two small kids (27 months and 6 months) and besides being sleep deprived because I’m tending to them at night, I’m also trying to freelance, launch a blog, take care of the house, cook… I basically get through the day on a sugar high and then crash later. It’s not pretty. You have a lot of great advice here. You absolutely right about trying to find a “healthy balance” and the importance of delegating. I’m feeling inspired. Thanks for this!